Urban stormwater retrofits are a major component of many stormwater management efforts. 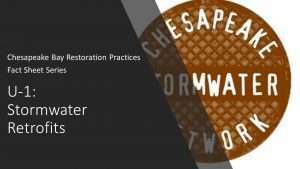 They are a diverse group of practices that provide pollution reduction from existing development that is either currently untreated or is inadequately treated by existing stormwater practices. 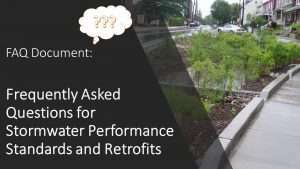 Examples of retrofits include wet ponds, swales, permeable pavement, and bioretention. 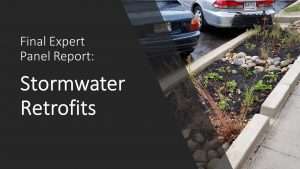 Below, you’ll find a variety of resources on stormwater retrofits, including the Expert Panel report that reviews all of the available science on the pollutant removal performance and runoff reduction capability of the BMPs, and CSN’s Urban Stormwater Retrofits “Fact Sheet” which breaks down the practice and the Expert Panel recommendations into more easily digestible pieces!